Noble Drilling will pay multi-million dollar fine for maritime and environmental crimes. Earlier this week, Noble Drilling U.S. LLC, agreed to plead guilty to eight felony charges linked to propulsion, pollution, and record-keeping issues connected to the two Arctic drilling rigs that bored oil wells for the Shell Oil Company off of Alaska’s Arctic coast in 2012, and will now be required to pay $12.2 million (an $8.2 million fine and $4 million in community service payments) for its crimes. Most of the violations are connected to one ship in particular. 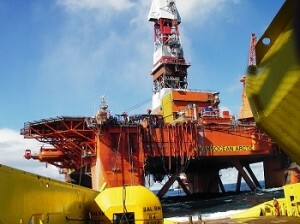 The two drilling rigs that Noble operated was the drill ship Noble Discoverer and the Kulluk, a non-propelled drill unit owned by Shell. However, the charges against Noble are primarily related to maintenance problems and deficiencies on the Discoverer. Some of the company’s violations included failing to inform the U.S. Coast Guard of hazardous conditions aboard the vessel, failing to record details of how oils were handled on the ship, and keeping fake records. Some of these violations were discovered on November 26, 2012 during a Coast Guard inspection of the Discoverer in Seward, Alaska. According to the plea agreement, the Noble Discoverer encountered multiple problems with its primary propulsion system, including its propeller shaft and main engine during 2012. These problems resulted in equipment failures, engine shut-downs, and conditions that were unsafe. “At times, the condition of the Noble Discoverer’s main engine also created high levels of exhaust in the engine room, multiple sources of fuel and oil leaks, and backfires,” the plea agreement also stated. Environmentalists want Arctic drilling stopped. Arctic drilling is a highly controversial topic and, much like fracking, while the major oil corporations are huge proponents for it environmental groups warn of the dangers and irreparable damage that these operations bring to the environment and people. The executive director of the Alaska Wilderness League, Cindy Shogan, said of the plea agreement that it “only adds to the long laundry list of mishaps and lies by Shell and its contractors.” She added that the case emphasizes the dangers of Arctic drilling and said that it is “unsafe, dangerous and irresponsible to drill there.” Environmentalists have renewed calls for the Obama administration to stop offshore drilling in the area.